A high-quality Montessori education depends on a well-curated, student-centered classroom space. The best Montessori classrooms are known for allowing for freedom of movement; containing a variety of workspaces for different types of learners, and different types of work; housing Montessori materials and resources where students can access and use them. Montessori classrooms are made with independence in mind. Students are allowed, and encouraged, to find the resources they need, and to make use of the learning areas around them. Within the structure of the school day, students have independent work blocks when they are allowed to choose the work that they need to engage in, and for how long. Students in a student-centered classroom gain more than just knowledge. By determining their own needs, seeking out resources, and planning their time and assignments, students develop independence, research skills, persistence, and a desire to learn. One of the biggest misconceptions about Montessori education is that it is too unstructured and permissive to be effective. Parents hear about "student-centered" environments with "freedom of choice" and "freedom of movement" and picture a playhouse, with everyone running wild. Indeed, when children are left with no structure at all, you may end up with a scene like that. Montessori education isn't about removing all structure and rules, though. Montessori education prioritizes freedom of choice, within the structure of the school day. 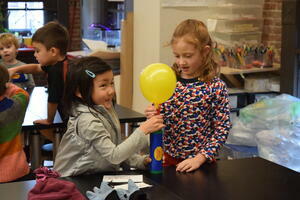 Montessori education strives to provide a motivational educational experience that translates to the real world. Even our youngest students refer to their classroom tasks as "works" because they enjoy undertaking the work of a child—which is to learn. Students enjoy thinking of their daily tasks as work, rather than play, because it legitimizes and validates what they are doing. Student work in a Montessori environment is actually more similar to what an adult may consider "work" than most school environments you may be familiar with. It's rare in today's work environment to find a job where you are required to work on a specific task for an allotted amount of time, and then move on to another for an equal block of time. It's also rare to find a job where you work only with people of your exact age, all doing the same tasks at the same time. You are much more likely to find a situation where you are required to manage your own time, determine priorities, and work on completing a multitude of tasks throughout the day, all to the best of your ability. 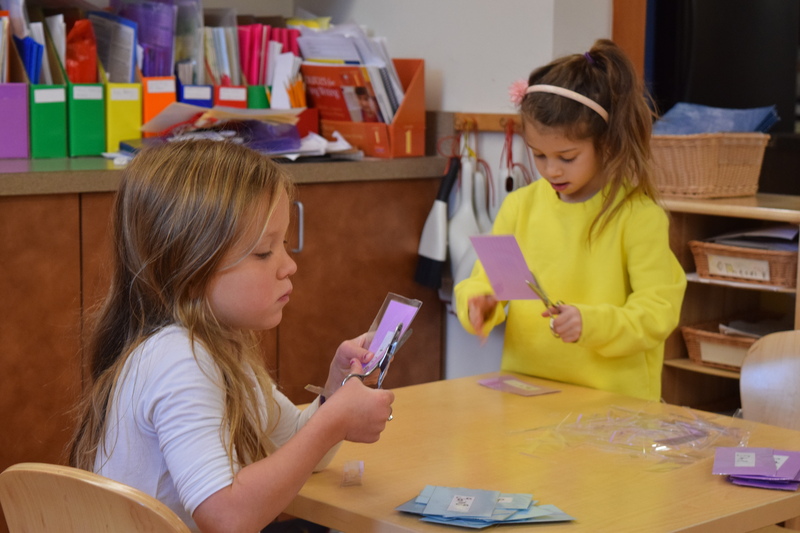 Montessori education recreates this real-world situation by encouraging students to plan out their week, setting short- and long-term goals, and then manage their time and resources to accomplish those goals. The skills of goal-setting, time management, resource allocation, flexibility, and adaptation are on display in every well-managed Montessori classroom. Montessori education strives to deliver knowledge and skills in the ways that are most natural for the child. Depending on the child and the specific content, a variety of approaches may be used. Montessori class time is structured, but adaptive. In a multi-age classroom, some lessons are group-based, depending on experience and age level. 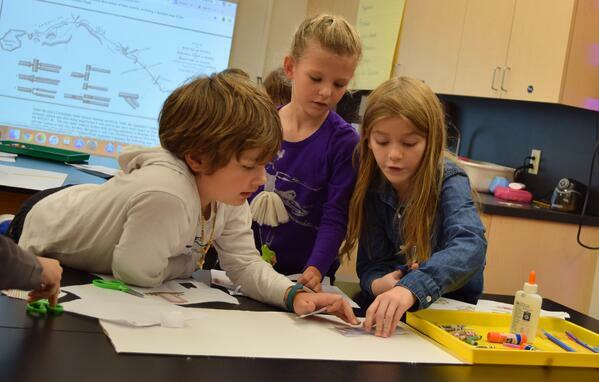 Students may break into small groups for lessons or to work together on a project. In some cases, it makes the most sense to present a lesson to the full class. At other times, students work one-on-one with their teacher, or independently with minimal intervention. Montessori instructors are trained to observe, and intervene only when it is necessary and beneficial. Every aspect of a well-designed Montessori education is aimed at creating self-sufficient, self-motivated, life-long learners. By allowing students to pursue their goals with the support and resources they need, they learn that they can take risks, grow their skills, and accomplish what they are passionate about.